As a busy blogger and marketer, it can be hard to work out what elements of blogging advice you need to pay attention to, and which will only lead you into a hole and waste your effort. If you’re a new marketer coming into an organization, or newly responsible for your company’s blog, it can also be difficult to quickly assess what tasks are quickly within reach and which ones are too complicated or difficult to show a worthwhile benefit quickly. Here are five key tips to help you cut through the noise and get results with your blogging. 1. 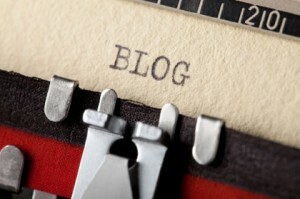 Include links in your blog posts to other pages on your website, or other relevant websites. Don’t be afraid of these links. While they may send visitors out to check out other things, if your content is good then your visitors will be back. People will always return to a source that regularly shows them interesting things that they like. If you don’t believe me, just think about all the websites that aggregate great content into one place and how popular they are. There is an entire industry of websites, starting with Reddit and Y Combinator’s HackerNews that exist solely to aggregate links to the best and most interesting content on the internet and discuss it. Don’t be afraid to take the same angle on your blog – If you’re finding and sharing the best items on the internet, people will always come back to you for more. If you need more evidence that this works on a single blog and not just a news site, look at the blog posts that rise to the top of HackerNews. They tend to be excellent posts that pull together disparate resources into one top resource that combines the best lessons of all of them, like this post from A Smart Bear that rose to the top of HackerNews as I wrote this. While your blog grows, invite in friends or professional contacts in as guest bloggers to write about a topic that interests them. This is often more valuable than it seems on the surface: Guest bloggers will help you promote the content to their own network, can share ideas for posts that you wouldn’t have on your own, and give you a break from creating content while still keeping your blog fresh and active. You can also play this into a series of posts if you ask your guest author to make an argument and take one side in it, while you play the counterpoint the next day. By welcoming in this cross-promotion and discussion, you have unusual opportunities to build links and activity, and welcome in new viewers that may not have known about your blog otherwise. If you’re not sure who to invite or do not have a network to use here yet, put it on your blog’s sidebar and contact page that you accept guest posts and would love to hear from contributors. You will absolutely hear from people that are looking to expand their own network and reach as well if you make it clear that you accept contributions. Consider including other types of content than just text in your blog. Flickr offers a great Creative Commons search for free photos and images that you can include in your blog posts if you give credit. Including this variety can make your blog a lot more visually appealing and keep readers around more, especially if they recognize your good taste. If your blog has regularly has multiple authors, also consider including headshots of your different authors. That way, the different voices and styles of your authors will come through more clearly and with more personality. People will associate your blog more strongly with faces and personality, and have a deeper relationship and more consistent readership as long as you continue to execute everything else well. Keep a close eye on the monthly marketing analytics for your blog and website. While it can be hard to see the important differentiation between posts on a day to day timescale, they often become clearer when viewed month over month. Don’t just look at that month’s postings either. Re-examine your entire history of blogging to find your true blogging winners- You could be surprised by posts that are years old but still getting social media shares and bringing in significant search and referral traffic. Identify one of your older posts each month that is doing well and delivering results, and update it with new information, new links, or whatever else would make it current. Just think: If it’s doing that well without any attention or work, imagine what it could do if it was updated for the current times. Finally, don’t be afraid to share what you know with others. Readers are looking for specific ideas or information to help them execute well. If you have data, case studies or examples to support the ideas you give in guest posts, that makes your posts all the more valuable. Also reveal what you can about pricing, decision making, and rumors or alternative options to encourage people. The rules of the high school math class apply here too: Don’t just give your readers an answer, but show your work for full credit. What other blogging advice has helped you? Let us know in the comments! Help your posts get more shares, help yourself get more traffic.